Brief: Develop an integrated consumer promotion that would gain support from key trade partners and drive consumer purchase of Whirlpool products. 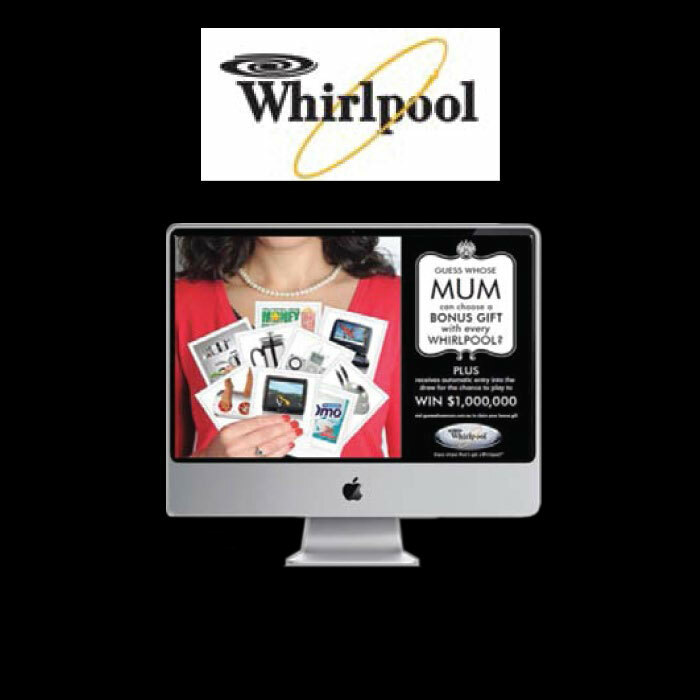 Communications Objectives: Deliver significant cut through for the Whirlpool brand focusing on ‘mum’ as the purchase influencer and most likely person to redeem the offer. Execution: Communicate the size of the promotion with emphasis on a bonus gift with EVERY purchase and overlaying $1,000,000 prize. Mechanic: Purchase any Whirlpool appliance during the promotional period. Go to guesswhosemum.com.au. Register personal details, purchase details, select preferred bonus gift and receive claim form. Result: 3,900 eligible entrants with a 2% uplift in sales as compared to the same time last year.